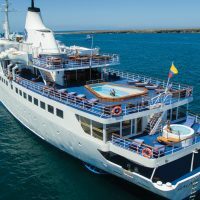 Perfect for those wanting to spend most of their time on land, island hopping itineraries offer a fantastic alternative to traditional cruises. 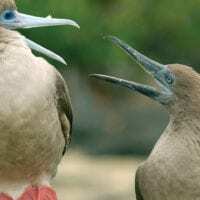 Land-based excursions typically visit different sites than ships, offering a unique Galapagos experience. The itinerary below is a sample only, many different options exist with varying standards of accommodation available. 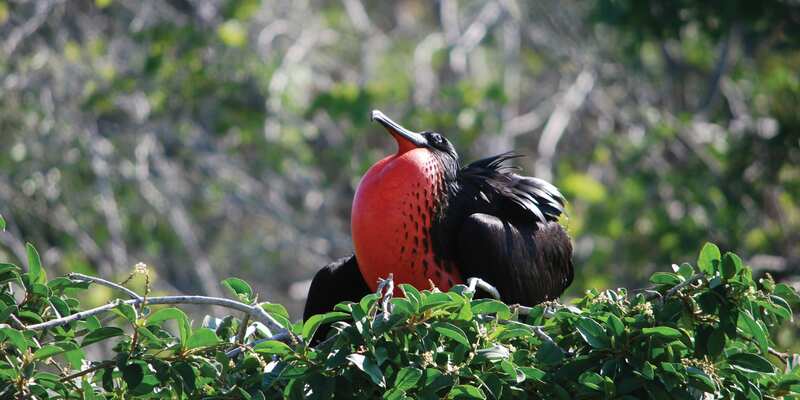 Enjoy land-based excursions in the Galapagos Islands. Visit the famous Tortoise Breeding Station to see the magnificent Giant Tortoises, the longest-living of all vertebrates, averaging over 100 years. Swim and snorkel alongside tropical fish, Sea Lions, Penguins and Sea Turtles. 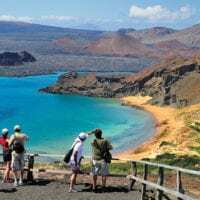 Explore an active volcano in the Galapagos Islands, together with day trips to rewarding visitor sites of the National Park & Marine Reserve. On arrival, transfer to the Santa Cruz highlands where you will search for the iconic Galapagos Tortoise. Continue to Puerto Ayora for lunch. Afternoon at leisure. Optional afternoon excursion to Tortuga Bay. Take the speed boat to Floreana Island and hike to La Loberia where Sea Lions breed. 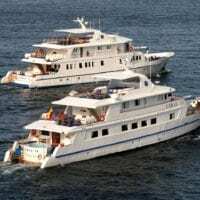 Enjoy your first snorkelling excursion with the chance to swim with Sea Turtles, cheeky Sea Lions, Manta Rays and a variety of colourful coral fish. Afternoon at leisure to relax. After breakfast, head to the highlands of Floreana for a gentle hike exploring historic pirate caves. You’ll also have the chance to see more Giant Tortoises. Afterwards, take a speedboat to Isabela and enjoy lunch. Afternoon at leisure. Optional bike tour to the Wall of Tears. Morning excursion to Sierra Negra Volcano where you will hike up for great views over the crater. Enjoy a boxed lunch and visit El Chico Volcano. Afternoon at leisure to relax on the beach. 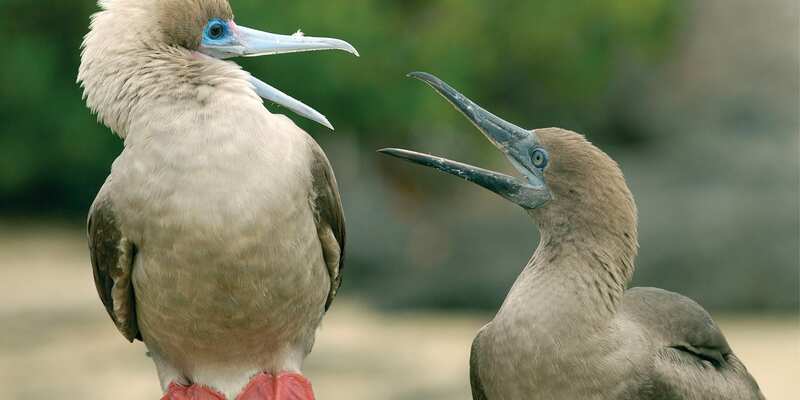 Optional excursion to Tintoreras Islets where you can see Reef Sharks and Galapagos Penguins. Morning visit to Flamingo’s lagoon to see the brightly coloured birds feeding on the lagoon’s algae. This afternoon, visit the Tortoise Breeding Centre. Speedboat to Santa Cruz and evening at leisure. Enjoy a full-day tour to Bartolome Island to see the iconic Pinnacle Rock. A short hike will bring you to a spectacular viewpoint. Afternoon snorkelling with the chance to see Sea Turtles and Penguins. 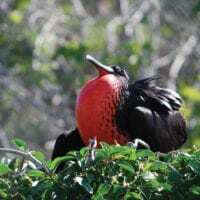 Full-day tour North Seymour Island where you can see Land Iguanas, the magnificent Frigate Bird and Sea Lions surfing the waves. After lunch enjoy snorkelling at Las Bachas beach. 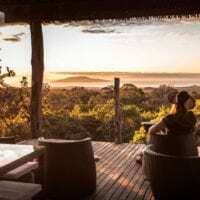 After breakfast, visit the Charles Darwin Research Station and the Tortoise Breeding Centre where you can walk freely amongst the Giant Tortoises. Transfer to Baltra Airport for your flight back to the mainland.